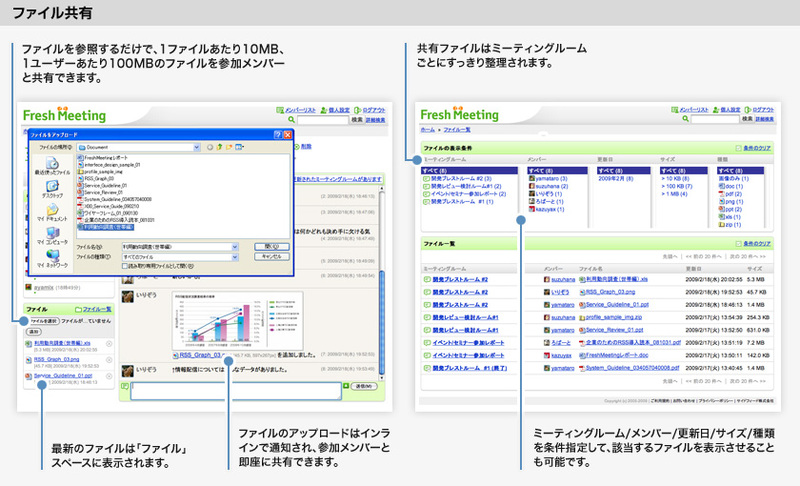 Create your own web chat room, invite whoever you want to chat with and share files with them. You can invite people from your member list as well as sending invitation to a new member by email. You can get updates instantly by your favorite tools. 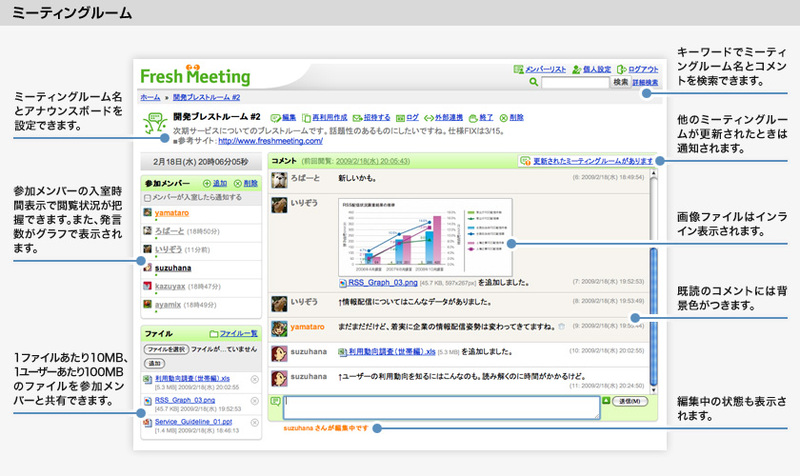 Fresh Meeting can send updates via email, Windows Live Messanger(*), Windows Taskbar. Also, you can send all the updates to your twitter account. You can share files with your group members up to 10 MB for each file. You have 100MB total disk space, and all the files are organized by Smart Folder. You can review your past chat transcripts anytime you want. The transcripts can be obtained in the form of a text file as well as a html file. Also you can search across your transcripts by keywords. 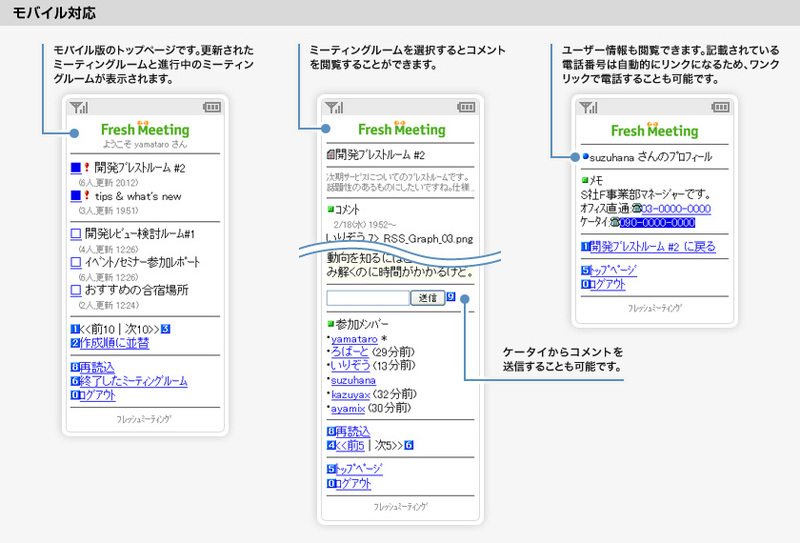 You can get access to Fresh Meeting from your mobile devices e.g. cell phones. You can post comments to your chat room, check the updates and view profiles of other members. 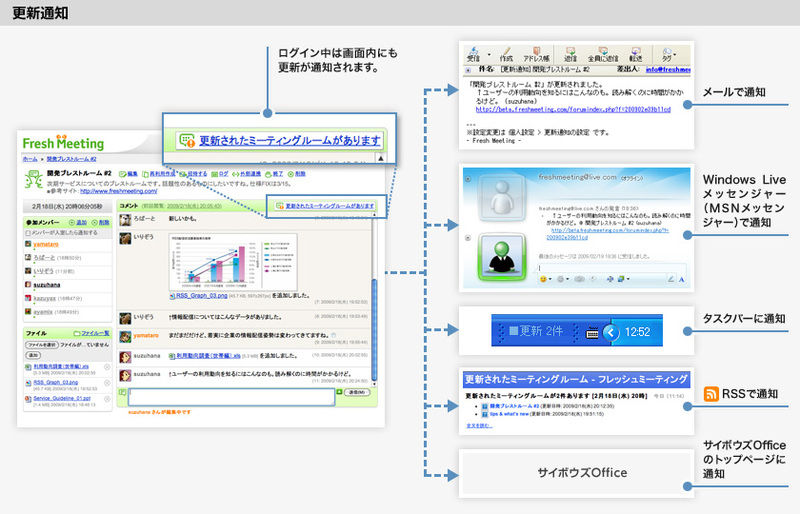 All you have to do is to open your account on the web. You don't have to install anything in your computer. All the chat rooms are private. Only the group members who invited to the room can join the meeting to have a private discussion. 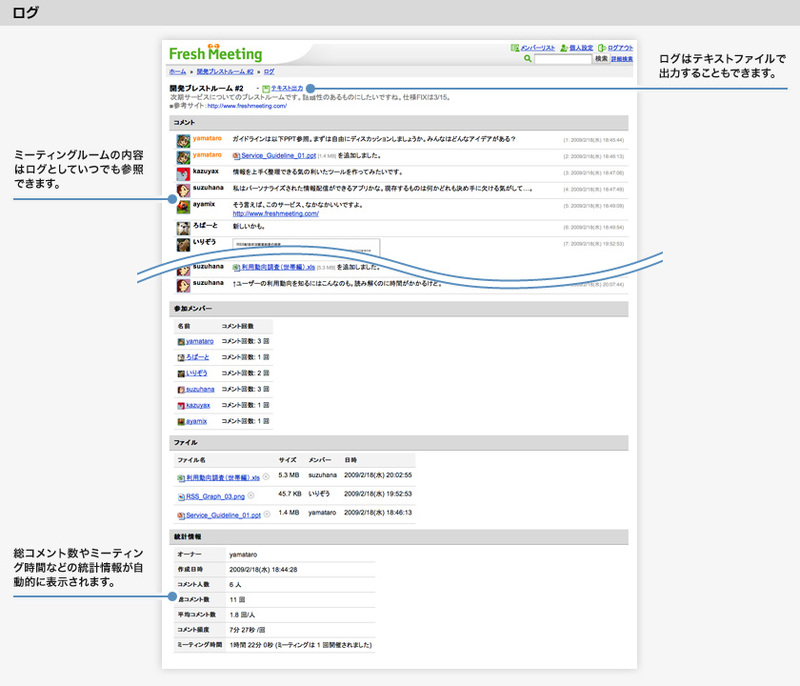 Fresh Meeting is a Free service for those who wants to boost your creativity. Please refer to sign up. Copyright (c) 2007-2019 sidefeed, Inc. All rights reserved.